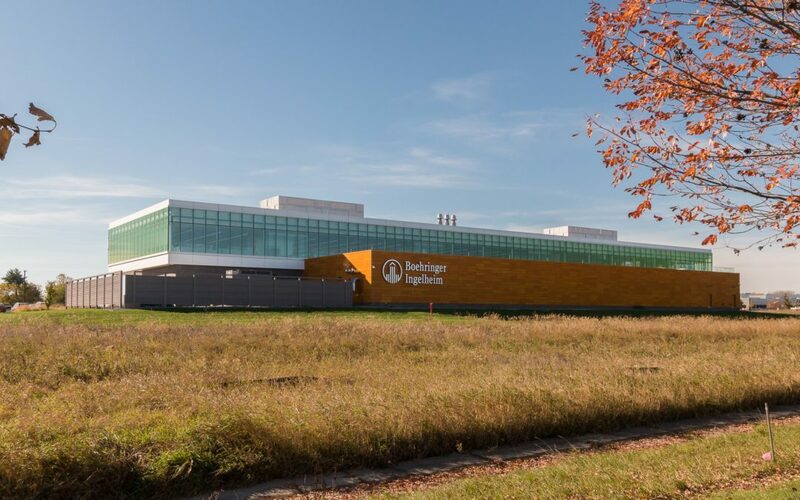 Local, state and university leaders gathered at the Iowa State University Research Park Thursday for the grand opening of the Boehringer Ingelheim Vetmedica Inc. Research and Development facility. For those like BIVA President and CEO Albrecht Kissel, the new facility will not only launch the animal health giant forward, but also strengthen the relationship it has with ISU and the Ames community. According to BIVI, the new 52,000-square-foot facility features an open concept designed for collaboration and interaction among scientists, with the first floor composed of almost 30,000 square-feet of laboratory space, and the second floor housing work spaces and conference rooms. The $22 million is designed so that scientists — who specifically requested natural light — have large windows in the labs and glass walls in the office areas, allowing researchers to connect with each other while also bringing in sunlight for a more vibrant environment. BIVI officials said the space also has the potential to accommodate more than 100 scientists conducting research in the five target areas: swine, cattle, equine, canine and feline. In addition to those elements, the second floor includes meeting spaces, a dining space and a large conference room cantilevered over the building’s lobby. “We are number one worldwide in swine vaccines, and what better state than Iowa for those swine vaccines to come from,” Kissel said. Iowa Gov. Terry Branstad was one of the speakers Thursday, and as a major advocate for bringing businesses (especially in the STEM fields) to Iowa, he said that a company like Boehringer Ingelheim is a perfect fit it Ames. Iowa Lt. Gov. Kim Reynolds said that Iowa, ISU, and BIVI share the same drive for innovation. According to BIVI, 48 percent of the Ames team members are native Iowans, and 40 percent of the team are ISU graduates. Both Branstad and Reynolds want to see an increase in the amount of Iowa STEM workers that choose to stay in the state and boost the economy, which is exactly why they said they are huge supporters of the work Boehringer Ingelheim does.